Don’t just eat the pasta! Tie on an apron, roll up your sleeves, and learn from a Sfoglina how to make a variety of traditional Italian pastas. At Sfoglina, we offer a variety of PASTA classes. details and tickets are available below. if you have additional questions, please email us at info@fabiotrabocchi.com. Participants will learn how to make the classic egg pasta dough with the addition of edible flowers and herbs, as well as roll it by hand with a rolling pin, and cut it into various shapes. Kids love making pasta! Participants will learn how to make the classic egg pasta dough and make various shapes. Children must be at least 8 years old and accompanied by an adult. Participants will learn how to make the classic egg pasta dough, as well as roll it by hand with a rolling pin, and cut it into various shapes, such as tagliatelle, pappardelle, maltagliati, farfalline, garganelli, and quadrucci. Participants will learn how to make hand-shaped pasta with an eggless dough made of semolina and water, forming shapes such as trofie, lorighiddas, malloredus, orecchiette, cavatelli, and maccheroni. Participants will learn how to make different types of gnocchi and bi-colored gnocchi. Participants will learn how to make classic shapes of the Amalfi Coast, including Scialatielli and Ravioli Capresi, starting from the basic egg dough rolled by hand with a rolling pin. Participants will learn how to make classic shapes of Puglia, located at the heel of Italy’s boot, including Orecchiette with Grano Arso, and Cavatelli, using semolina-based doughs and shaping by hand and with special tools. Participants will learn how to make the classic egg pasta dough with the addition of high value protein superfoods such as spirulina and chickpea flour, as well as roll it by hand with a rolling pin, and cut it into various shapes. Participants will learn how to make classic pasta shapes of Fabio’s and Simonetta’s home region of Le Marche, including Maccheroncini di Campofilone and the unique Cresc’tajat, a pasta made with leftover polenta. Participants will learn the classic egg pasta dough, as well as roll it by hand with the pin, and shape it into various forms such as ravioli and tortellini. Participants will learn how to make classic pasta shapes of the area between Le Marche and Romagna, including Tacconi di Fave (noodles made with fava bean flour) and Passatelli (short noodles passed through a potato ricer). Participants will learn how to make classic pasta shapes of the island of Sardegna, including Curlurgiones, Lorighittas, and Malloreddus. Participants will learn how to make classic pasta shapes of the Abruzzo region, including Spaghetti alla Chitarra and Maccheroni alla Mugnaia. Express your love for handmade pasta — wear a Sfoglina t-shirt! Our SOFT, 100% cotton tees feature five unique pasta-related sayings and come in five sizes — A great gift for the pasta-lovers in your life. See details below. Stamperia Marchi textiles — custom-made for Sfoglina in Santarcangelo di Romagna. Our stunning aprons, pot-holders and rolling pin holders are produced by the artisan textile printing house Stamperia Marchi, which uses 17th century methods and original 17th century tools, including the mangano, a large man-powered wooden wheel used to press the fabrics and bring out their natural shine. These hand printed aprons, potholders, rolling-pin holders are made using natural dyes and feature the Sfoglina logo along with traditional imagery of Romagna, such as grapes, wheat stalks, apples, artichokes, birds, and more. Colors (red, green, and blue) come from natural minerals and rust-colored prints are made using dye from rusty nails. Stamperia Marchi continues to hand-engrave new wood molds for the fabric, maintaining an artisan production that is original and exclusive. Honor the pasta lover in your life with our humorous Sfoglina tees! Perfect for special occasions like birthdays and holidays, they come ready for gift-giving wrapped in a tube with a Sfoglina logo sticker. Available in sizes XS, S, M, L, and XL, these soft, 100% cotton tees feature the Sfoglina logo in white on the left chest, and your choice of the following sayings on the back — collect them all! Prices are exclusive of tax. (L) Classic Bib Apron; (R) Smock Style Apron. Two styles are available — the traditional smock apron with side ties, and a classic bib apron with back ties. Both styles are made of hemp and cotton fabric and feature the Sfoglina logo. They are stamped by hand using hand engraved wooden molds and natural dyes in four colors — blue, green, red and rust. (L) 32" straight wood in with single knob handle, Stamperia Marchi worked cotton holder; (R): 22" engraved straight wood pin with two knob handles. Not pictured: plain canvas holder. Select from two styles of traditional rolling pins and holders: the plain canvas holder with a 22" straight Italian wooden pin engraved with the Sfoglina logo and featuring two knob handles, or a worked cotton Stamperia Marchi designed holder with a 32" straight Italian wooden pin with one knob handle. Both size pins are made of beech wood. Pure cotton potholders are available in two shapes and sizes - large square or small round - and feature the Sfoglina logo. Potholders come in a choice of four colors: blue, green, red or rust; and a variety of traditional designs. A gift card for Fabio Trabocchi Restaurants is the perfect gift for friends and family, or to reward exceptional employees and valued clients. 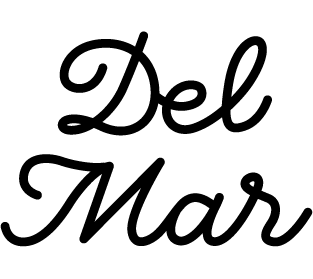 Gift cards are redeemable at Del Mar, Fiola DC, Fiola Miami, Fiola Mare, and Sfoglina Pasta House (all locations). If you have questions about our Gift Cards, email us at giftcard@fabiotrabocchi.com.